The two weed seeds laughed and celebrated their first step away from home. When they’d been tightly bound with all their brothers and sisters, they’d felt just part of a whole; simple small bits in a larger entity. They were not aware that they could break out on their own. The future was invisible and they didn’t even know one might exist for them, instead of a sort of preordained destiny for the entire group. And then the rustling and the stirring began. The thinking and the wondering started to grow. The straining and the desire came quicker. Brother tuft and sister tuft ached for something of their own. They wanted to feel the wind and they wanted to take a freedom ride. These two were the first to get away, and they are happy. But they will not be the last, and for that they shall be happy all their lives. 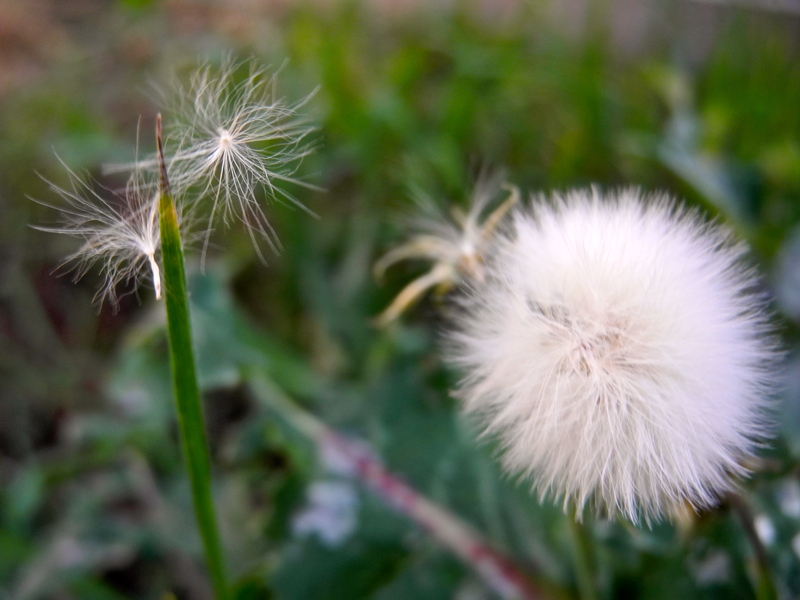 For soon their brothers and sisters will catch a ride on a breeze and the journey taken by one weed flower gone to seed will spread new life a hundredfold across meadows and fields. Their story will grow to become so much bigger than it is now, and we are lucky enough to witness the very beginning, the very first steps. Hip Hip Hooray! Here’s to the journey and to the bold big steps that come along on special days when the wind is blowing your way! And here’s to the courage it takes to break away form the pack.